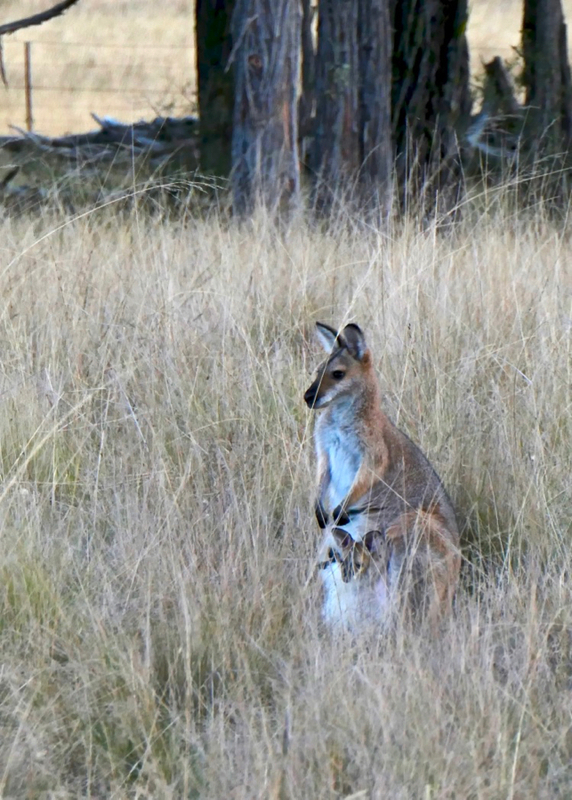 Slightly hidden in the tall autumn grasses, a Red-necked Wallaby with joey in pouch wait for us to pass by. Aw.Though if I lived with them I might have a more nuanced reaction. Meanwhile, as you are coasting into autumn, we’re already having high summer. A bit early to suit me.